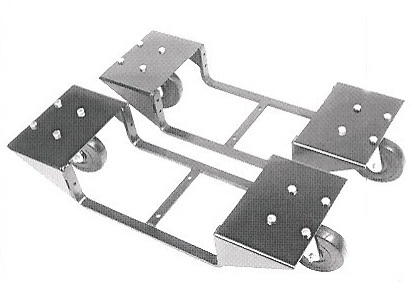 These piano dollies are available in 2 models, the heavy duty J4010 and the heavy duty J4010-2. They are a perfect solution for use in schools, showrooms and any other place where you need to constantly move around an upright piano. 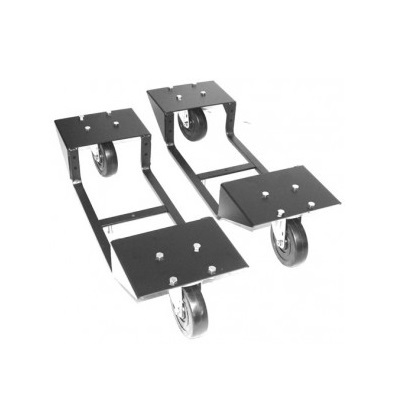 This dolly can be left permanently on the piano, giving you the freedom to move your piano whenever the need arises. It is recommended to have a professional move your piano. The dollies have 4 holes where you can place 4 screws (5/16" x 2 1/2") and attach it to the back of your piano(recommended-but screws not included). These dollies will give you many, many years of trouble-free service. Comes in a set of 2, and remember to place them as far away from each other as possible. Price is for 1 set of 2 dollies. Also available in a standard non-heavy option. Please Note the placement of dollies on the piano. This is an excellent product. The quality and sturdiness of the dollies is great! The dollies work great to move the piano around the lower level of our building. The floor has a slight texture to it, and the piano moves with ease. Shipping was fast and reliable. I use this dolly on the tour of a Broadway show and needed one for use on the show in Japan. It arrived on time and worked like a dream. I had a great experience purchasing.